I’ve always been strangely attracted to the peculiar, that which disturbs the peaceful mind and makes the pulse beat just a little bit faster in the veins. Growing up, I was a pleasant, albeit shy, kid, the kind you could trust to look after your cat or babysit your children, although I suppose I was not your average 70s-era girl who was content to play hopscotch and listen to Donny Osmond records in her room. I had a fierce imagination, and it wasn’t long before I realized that my imagination could create in my body an exhilarating rush of endorphins and adrenaline—all through the effect of one particular emotion: fear. I remember long summer days spent with my best friend Andrea, in which we would pore over her dad’s Creepy and Eerie magazines or read aloud tales from books containing true ghost stories. In the early evenings, we would go on walks to discover abandon houses and dare each other to go in, after first building stories around the demise of the owners, just to heighten the fear. In our idle hours after school, we would seek out scary television shows: Circle of Fear, Trilogy of Terror, and the often-disturbing Twilight Zone. We delighted in the feeling of being scared, of having cold shivers leap up our spines, and I think, in part, the camaraderie of the shared experience of building fear and exchanging words to calm and console each other again. Our young lives were rather consumed with feeding our imaginations with terrible things. One year my family went to Disneyland and from the Pirates of the Caribbean gift shop, I brought back a glow-in-the-dark resin skull with flowing white hair. This I kept on my dresser in my bedroom; it was the last thing I saw as I fell asleep. And yes, now that you ask, I did have trouble sleeping at night. One horror theme that haunted my nighttime imaginings was the concept that something evil could not die, that there was no way to vanquish permanently that which terrorized and haunted you. Through somewhat of an unconscious accident, this theme makes its appearance in A Peculiar Curiosity. Back in 2011, my then fourteen-year-old son brought home 100 stick bugs with the intention of selling them and making money. We soon discovered that it is illegal in our province to sell them. They are an invasive species and cannot be turned out into the wild. Oh, and another thing about stick bugs, they reproduce like crazy. Upon discovering our fate was to care for generation after generation of stick bugs until we died of old age, a sickening fear gripped me. It was that same fear that had fascinated me as a child, the fear of having to take ownership of something terrible, something you didn’t want, something you couldn’t be rid of. And it was this terrible feeling that made me realize I had a great theme for a story. Then, I needed a setting. Around that time, I was fascinated with a TV show called Oddities. It focused on a curiosity shop in New York City that specializes in antiques of the macabre. 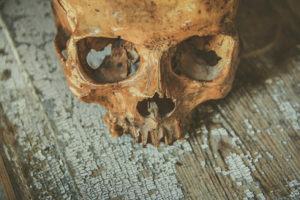 I was fascinated by what I saw: bloodletting kits, two headed animals, shrunken heads, mummy hands… I knew I had to work all these things into my burgeoning story, and with a love of the mystical gothic London, I was all set. Finally, I needed that antagonist. As a die-hard fan of The Walking Dead, I knew my story had to feature the undead, but I wanted to write a story unlike anything I’d seen or read. I wanted to return to the roots of the zombie invasion, Haiti itself. Thus, I had the makings of a story. 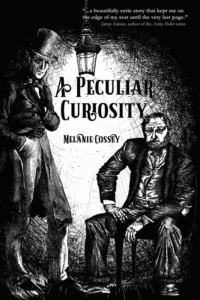 A Peculiar Curiosity is not just a scary, odd story, but it is a story that explores the themes of what happens when you make a bad decision, a decision you can’t alter. What happens when you make a decision that affects the welfare of someone else—a decision that could have a ripple effect that goes far out into the future? A Peculiar Curiosity is about two men, Edward Walker and Duncan Clarke, who all too lightly enter into decisions based on a compulsion to succeed, and the consequences they face because of their impulsivity. It is a story where do-overs are not possible, where the effects of decisions are permanent. Oh, and in case you are wondering, no stick bugs were harmed in the making of this story. I’m not sure I can say the same for the characters in A Peculiar Curiosity. 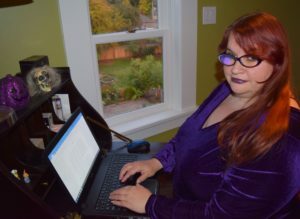 Melanie Cossey has enjoyed a twenty-year freelance writing career crafting non-fiction articles for the web and magazines, but in recent years has changed her focus to creating poetry, short fiction and novels. 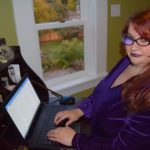 Melanie’s gothic fiction The Nymphalidae won Honorable Mention in the Storm Crow Tavern’s 2015 Tales from Beermat Micro Fiction Contest and her short story, The Choice Between Fire and Ice was shortlisted in the 2016 Surrey International Writer’s Conference’s Short Fiction Contest. In his book A Curious Mind, movie producer Brian Grazer writes about trying to sell his movie Splash to the movie studios, and about how he kept getting no for an answer. The problem was that he had been pitching it as a story about a mermaid. Nobody wanted to make a movie about a mermaid. Then, he changed his approach and pitched it as a love story between a man and a mermaid, and he sold the movie to Disney and the film became a big hit. When I read this story in Brian’s book, a light bulb went off in my head. 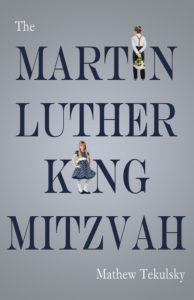 I’ve been describing The Martin Luther King Mitzvah as a story about two kids and Martin Luther King, and that’s the not the best way to describe this novel. Here’s a better way: It’s a love story between Adam, a twelve-year-old Jewish boy (who is the victim of anti-Semitism), and a twelve-year-old Catholic girl named Sally (whose older brother bullies Adam because the latter is Jewish). A meeting with Martin Luther King facilitates their social and political awakening, and Adam and Sally form a bond that blossoms into love. Eventually, they unite the fictional town of Beachmont to together overcome anti-Semitism and to protest against the war in Vietnam. Martin Luther King is an important part of the story, but it is not the main story. The narrative focuses primarily on the process by which Adam is drawn out of his shell by his interactions with Sally, the reclusive author Gladys McKinley and her housekeeper, Cousin Louie, and the editor, Jack Williams, who publishes Adam’s photographs in the Beachmont Times. Through all of the events of this tumultuous year, Adam is accompanied by sidekick, the dyslexic Jimmy Robbins. Adam even helps bring his father Eugene, a holocaust survivor, out of his own shell; and as Eugene is embraced by the community, Adam can only bask in his father’s humble glory. Every story (and movie) should have an “arc,” a narrative during which the characters evolve from one state of being to another. Nobody wants to read (or watch) a story about characters that never change. What’s the fun of that? So thank you, Brian Grazer, for pointing out the way to pitch a movie (or a novel) by recognizing the timeless emotional elements that will connect a story to its audience. The next time I see Brian (to whom I was introduced recently), I will thank him and describe The Martin Luther King Mitzvah the way I have explained it here, and I will share with him how much I learned from his own experience with Splash. 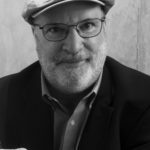 Mathew Tekulsky is the author of Backyard Bird Photography (Skyhorse Publishing, 2014) as well as The Art of Hummingbird Gardening, The Art of Butterfly Gardening, and Making Your Own Gourmet Coffee Drinks. 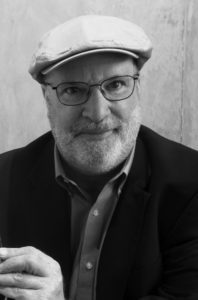 He is also the author of the work of middle-grade fiction, The Martin Luther King Mitzvah. 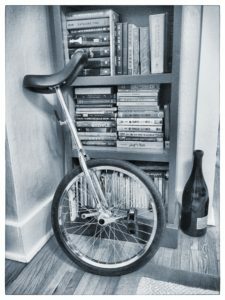 The Where and How of Working, Writing, and Roller-Skating?! Greetings from New England! 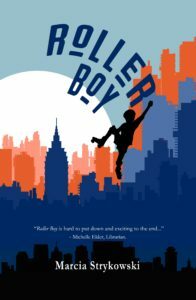 Roller Boy, my first middle grade novel with Fitzroy Books, will be released on September 28, 2018. 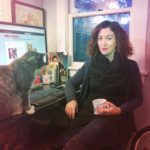 In appreciation for being part of the Regal House Publishing community, I’d like to introduce myself. When I’m not writing, my other job is working at a public library. I catalog all the new items into our system and also get to choose and purchase all the children’s picture books and fiction. I keep up with a lot of major reviewers through their newsletters and websites. This helps me narrow down my choices. Fortunately, I get to spend a good chunk of my work hours talking with library patrons, either at the main circulation desk or when I cover the reference desk. Back at home, I sometimes like to handwrite first drafts on my back porch. The sign hanging high states “It’s Never Too Late To Be What You Might Have Been.” Another feature you might be interested in is the painted sky on the ceiling which took forever to construct and hang. The round rug is grass green. 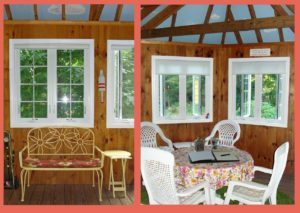 We don’t have heat or A/C on this circular porch, but the windows open wide to let in summer breezes and it’s always an extra special place to create during spring and fall. Below are two views of the room where I type my manuscripts. My ‘office’ (which we fondly call the library) isn’t always this tidy, but I straightened it up a little for the picture. As much as I attempt to declutter, I do enjoy having special things around me while I work, either in my cozy wingback chair or at the computer. The porch and library are my two favorite writing spots. My usual method of writing a novel is to write thin and short with a solid beginning and ending. Then I gradually plump up the middle parts. Before I know it, my full story is there and then I turn to the long process of revising and polishing. I usually don’t try to write to the market and I probably don’t look for ‘hooks’ as much as I should, but I do try to find the heart in my stories—that something that might make them memorable to those who feel a connection while reading. As for inspiration, I’m not sure how the plot and characters arrived for Roller Boy. Mateo as my main character came to me right off, long before the overdue cries for diversity. He happens to be of Mexican and Dominican heritage and he also happens to have celiac disease (being that he can’t eat gluten). But, most of all, he’s just a typical kid living in the city, trying to figure out where he fits in. Always one to have weak ankles, I’m not very good at skating and really only enjoyed it as a teen. Whether on ice or wood, I was usually the one who kept near the outer railing, just in case. 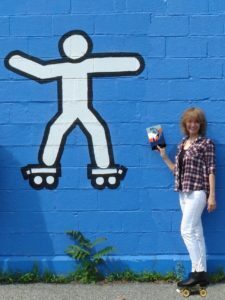 My children were involved with roller-skating for a while, and watching them delight in the sport gave me a good sense of the environment, which later came in handy when writing Roller Boy. Luckily for them, they didn’t inherit my weak ankles. When recent talk of book promotion came up I was challenged to put on a pair of skates. It was terrifying, but I did it… for all of thirty seconds, anyway, just long enough to snap a picture. Mateo always assumed he’d make the baseball team with his buddy Jason, but when only Jason makes the team, his mood sinks low. So low, he knows he has to do something about it. But what? What can he be good at? When Mateo wins free lessons, he discovers he’s pretty good at roller-skating. And it doesn’t hurt that the most beautiful girl he’s ever laid eyes on happens to be Roller City’s star skater. But still, roller skating? No way can Jason find out Mateo is whirling around in girly skates—anybody halfway to cool would be hanging at a skate park, on boards or blades. Other issues stacked against him are the strong reservations of his mother, who feels he should be spending his time studying, not skating, and his inability to eat gluten—no more grabbing a pizza with the guys. Despite these conflicts, Mateo keeps his sense of humor and channels his innermost strength into an incredible ride on roller skates that just might take him all the way to regionals. I don’t know about you, but I’m counting down the days until Roller Boy rolls off the press! Marcia Strykowski works at a public library and is a member of SCBWI. 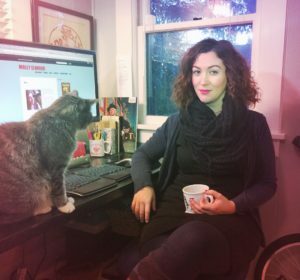 She is also the author of Call Me Amy, chosen for Bank Street College of Education’s Best Books of 2013 and shortlisted for the Crystal Kite Award, and its sequel Amy’s Choice. Follow Marcia on her blog and on Twitter. The Secrets of “Spartacus Ryan Zander and the Secrets of the Incredible”! 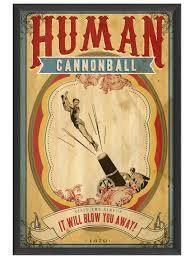 Spartacus’s human cannonball mom was kidnapped. It’ll take a road trip, a sideshow, goths, some dangerous old ladies, and a lemur to save her. Funny and adventurous with some dark themes. Ages 8-13. When I was a college freshman, I wrote a short story of two small-town brothers—one the bully and the other his prey. The older one was always finding the younger’s weaknesses and exploiting them, while their machismo father egged the older brother on. It was a simple story with a comic punch line. My writers’ workshop? They hated it. They said it wasn’t “realistic.” What brother could be that cruel? How could a father be so nonchalant? And where is the mom? This short story was the seed of Spartacus Ryan Zander and the Secrets of the Incredible. I was confident about this dynamic family relationship I’d created—mostly because it was very similar to the one I grew up in. It takes all types to make a family, and it takes a special, resilient kid—and a lot of humor—to navigate the emotionally difficult waters of a uniquely broken family. Sure, there’s a circus and a sideshow in this book. There’s also an adventurous road trip and a crime ring. But all that? It’s just the backdrop. When you get down to it, this is a book about family and relationships and coming of age. There’s no magic, there’s no exaggeration (hyperbole though? Most definitely). So I pushed Spart out into the world. He meets a slew of larger-than-life characters, many who quickly become like family, giving him the respect and camaraderie he never knew to expect from home. It’s on the road that he discovers new points of view, finds a sense of belonging, and finally spreads his wings. And while he must return to the town—after all, he is only twelve—he comes home with the tools and bravery to own his own narrative. Athena has an epic storyline—she has an accident, abandons her family to follow her circus dreams, and ends up possibly maybe perhaps (no spoilers!) doing even more nefarious activities. Sure, it’s fun to have a cool mom. But the truth of the second line above cuts deep: A cyclone mom? Yeah, that’s not a mom who can be trusted. She’s someone who runs hot and cold, who is both loving and unreachable, who leaves destruction behind. I spent a good amount of time imagining how her behavior would impact a vulnerable, sensitive child like Spartacus (spoiler: it’s not good). Her arc is the most surprising and becomes Spartacus’s most important lesson. My favorite part about writing this book was researching circuses and sideshows. I loved teasing out that info across hundreds of pages, leading up to the reveal of Bartholomew’s Circus of the Incredible. I explored books and blogs, watched a lot of circus movies, and granted myself permission to see Cirque de Soliel every time they came to town. I’m a massive animal lover. I don’t eat them. I do animal rights activism. I am trying to befriend the crows in my neighborhood. But also, another confession: I’d included circus animals in every early draft of this story until I personally became aware of the cruelty. When I realized it, I was stumped. I mean, I wanted to create an authentic circus but… can I also drive home, “Animals aren’t entertainment!” without making that take over the book? Balancing this tight rope wasn’t easy. In the end, I decided that Bartholomew’s Circus of the Incredible would have animals (Bartholomew is a bad dude, after all). Then I allowed the characters to voice their opinions on it. 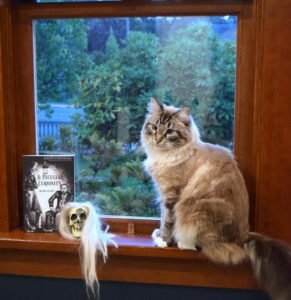 Spartacus discovers the Bart’s history of animal cruelty. Calyxtus, the socially-aware goth, speaks up against the mindlessness of animal entertainment. Zeda, a fire-breathing girl from the sideshow (and Spart’s love interest), pours her heart into—and coaxes Spart into—saving an endangered aye-aye from a life spent in a cage. For all these reasons, I’ve decided to donate my portion of the books’ August and September proceeds to a non-profit dedicated to the protection of and public education about endangered lemurs. I’m also holding a raffle at my book launch. The goal is to raise $50 for this non-profit; the raffle winner gets to symbolically adopt an aye-aye. I’ve also created a Matilda Adoption Package (my book plus $60 aye-aye adoption) on my website. Obviously, it sounds like there’s a lot going on in a book written for middle grade readers. But when you get down to it, as a kid, I was disappointed at how simplistic a lot of books were—and how short they were. I loved finding themes and lessons and hated being underestimated. On the surface, Spartacus and the Secrets of the Incredible is a road trip with a circus as the destination, and a crime thriller thrown in to spice it up. 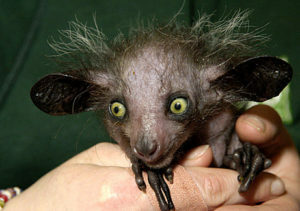 But like any good sideshow, there’s a lot more than meets the aye-aye. And no, I will not apologize for that pun.